First dates are tough man, I can relate. I’ve been on more than my share of them and each one is unique and different (obviously). So while you can’t really predict the personality of the woman you’re taking out even if you’ve been talking to her for the past few days, there are still some universal things to avoid doing, no matter who you’re with. No, honestly, stop it. This is so basic, but often overlooked. I can’t tell you how many times I have heard that a guy was on his phone during a first date, giving the first impression that whatever he was doing or whoever he was talking to was more important than the woman he was out with. Listen, I understand we all have obligations and very few people are more attached to their phone than I am, but when I am out on a date, it stays in my pocket. Women truly appreciate this even though it is something every guy should be aware of. The fact that it is such a big deal when you’re not checking your phone tells you one thing: Too many guys are failing in this area. If you need to check your phone for some reason, apologize and let her know that it is an emergency. But if you just can’t help it, you are either out with the wrong person, or you need to work on your manners. The last thing anyone wants to hear about on a first date is your last relationship. You are there to get to know someone new and potentially move into the future with them on a second date, not to discuss the past and what a crappy gift-giver your ex was or some nonsense. I know it’s difficult because they played a big role in your life, but this is a new chapter and it’s time to turn the page. Give the person across the table from you the proper respect of keeping the discussion properly focused. I’ve said it before and I’ll say it again, it doesn’t matter how nice someone is towards you, if they are not nice to the waiter/waitress, then they are not nice – period. Did the bartender give you the wrong drink? Was your steak cold? How you handle these small situations will show the woman you’re with a lot about your personality and what she can expect from you in the future. An extension of rudeness is the more subtle nuances that you may not put as much thought into. Simple dinner etiquette or small acts of courtesy go a long way when communicating what type of man you pride yourself on being. Don’t just meet her somewhere – go pick her up, get out of the car, and open the door for her. If you want to be proactive and take it a step further, make sure to practice these acts of chivalry most men have lost sight of. Kind of not really knowing what you want to do, because I mean, like, what does she want to do? I don’t know, whatever you want. I guess. Sure, that’s fine. 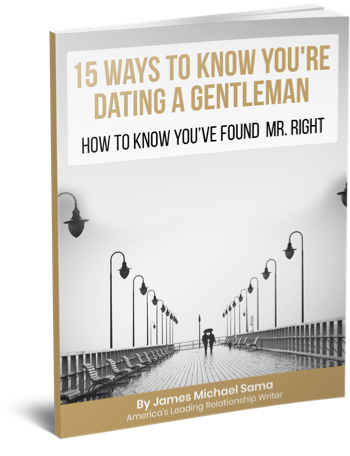 Even strong, independent women still want you to be the man when it comes to the date. You invited her, you plan. If you are properly inquisitive then you should be able to learn enough about her during conversations prior to when you actually get together that will give you an idea of what she enjoys. The amount of effort you put in to planning the date will say a lot about how much potential you actually see with this woman, but if you have any intention of getting yourself a second date, take the reigns on the first one. Being decisive shows her you are confident and willing to put in effort for her based on what she has told you in the past. Both good signs. Swaying too far the other direction on the confidence scale. Yes, she wants you to be confident, but she doesn’t want you to be arrogant. There is a big difference. Confidence is displayed in how you present yourself and act towards her or others. Arrogance is loud and obnoxious. It’s telling her how much you make or what you paid for your car. It’s dropping names about the celebs you’ve hung out with. If you try too hard to sell yourself, you’ll end up pushing her in the other direction. If she displays interest in things about you and some “social proof” stories come out naturally, then great. But you are there to learn about each other and find out if she is a potential match for you also, not to regurgitate your glory days all over the dinner table. Ohhh I feel your pain here. This woman you’re out with is stunning. I mean like, let’s put a picture on Facebook so all of your friends see how good looking she is, stunning. Plus she’s cool. And funny. Is anyone really this pretty, cool, and funny? Well, this girl is – and you’re probably going to marry her. First date you say? Nonsense, where is the jewelry store? It’s easy for guys to get caught up in the appeal of an amazing woman, but this is where self control is imperative. She doesn’t want a stage 5 clinger any more than you do. Compliments are good, but not too many. Pet names can wait awhile. And naming your kids already? Just, stop. Remember, the easiest way to lose someone is to want them too badly. It seems like I threw a lot of “don’ts” at you here, but in reality it all comes down to common courtesy, and common sense. 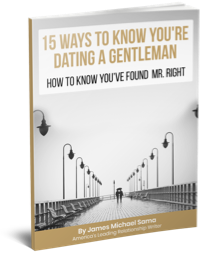 For the exact reason that every woman is different, you are going to have to enter into your next dating venture with the sensitivity on your emotional intelligence turned to maximum, and adjust your approaches accordingly. But one thing is for sure – follow the seven points above, and you’ll be starting off on the right foot. 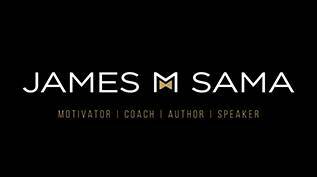 James – I love reading your articles…yes I know that it is geared toward men but what woman wouldn’t want to learn more about men? 🙂 While I have literally dated someone that has done all of those – I would like to add one more to consider from a woman’s viewpoint. For those of us that have chosen to stay single for a while and we possibly have older children; occassionally we end up going out with someone who has younger children. Don’t oversell the kids. I went out with this one guy that everytime I got a text from him somewhere in the conversation it would come up about doing something with the kids and heaven forbid don’t send a photo of the kids all the time. This may sound cold to some but for those of us that have raised our children alone and are looking forward to the last one graduating and heading to college so we can have a new found freedom… the visions of you and this guy fade away when all you can think about is starting over with his children – which he seems to have 7 days a week and all weekends included. Once it get beyond a few dates – then you can introduce the kids into the picture. I hate to admit it, but this applies to women as well. Ive had several first dates where she commited half the list above LOL. When I told her the next day that I felt like we didnt really have anything there ( she was an hour and forty-five minutes late to dinner, texted her friend in the middle of it, dropped all sorts of celebrity names due to her job, avoided an answer when i said Id pick her up from her place, and asked me the next day if our date was a success or fail and to rate it), she flipped out and demanded an answer to why it was. I chose not to make an arguement about it and keep the situation calm and it DROVE HER MAD! She tried to get under my skin and I wouldnt let it…so she said I was delusional and had a few screws loose lolol…thank God I avoided a second date! It’s interesting how delusional people tell you you are delusional, emotional mess of people you are overreacting, less emotional intelegent people you are stupid, liars tell you you lie and so on…projecting their personality on yours making you ready for mental hospital.